Is it Crazy to Love Italian Ruins? Our love affair with Italian housing started off, innocently enough, as a family obsession with the thousands of beautiful, ivy-covered stone ruins that are scattered across the countryside there, the way strip malls are scattered across Ontario. It’s almost impossible to drive anywhere in Italy without coming across some fantastic, abandoned farmhouse straight out of central casting for Romantic Italian Movies. When we lived in Italy, our road trips took twice as long as they should have because we kept stopping every time we saw a place we liked. Road-side admiration wasn’t enough, either. 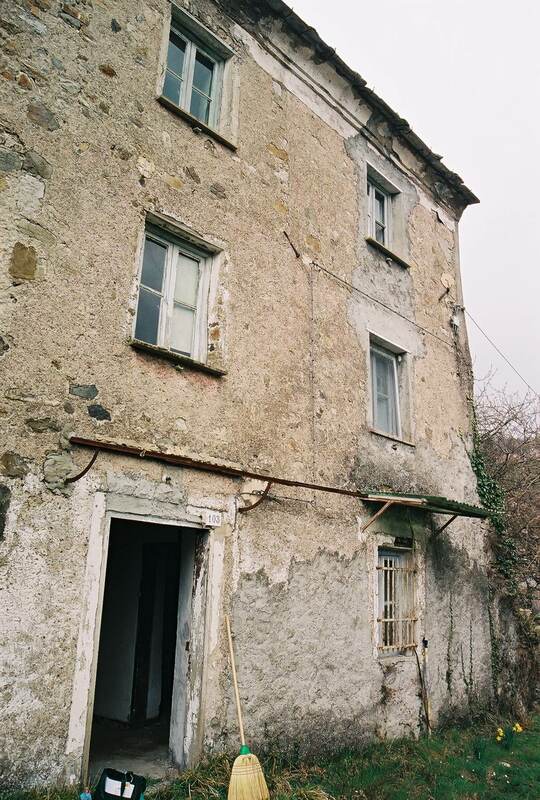 Shamelessly, we’d all pile out of the car and wander over the property as though we owned the place, then through the ruined house (testing the floorboards to make sure we weren’t going to fall through), wiping cobwebs off battered stairs, peeking behind half-closed doors. The detris of abandonment was often peculiar. Among rotted armoirs and fallen walls we’ve found mouse-infested mattresses, a crumpled jacket in a corner, a pair of boots by the door as though the last person to leave had actually intended to return. None of this bothered us. We’d redesign the places in our imaginations, argue about it as though it were real, then be on our way again. These weren’t properties that were for sale, mind. It was pure fantasy, so actual availability never entered into it. It was entertainment without intent, like checking out babes or hunks on the subway. Little did we understand what looking can lead to. Our pile of rocks had to be pulled down and we started again. All is going well and our builders have been great.